Symi, Syme or Simi (Σύμη) is one of the most picturesque Greek islands and traditional, most streets are stairs. It is a very peaceful and charming island whose main activity is fishing, despite an ever-increasing number of tourists. 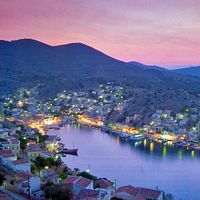 The island of Symi is located north of the island of Rhodes , 41 kilometers from Mandraki harbor by boat (less than 2 hours), and 425 km from Piraeus. The boat Rhodes each day brings a batch of tourists, but they usually leave the same evening. 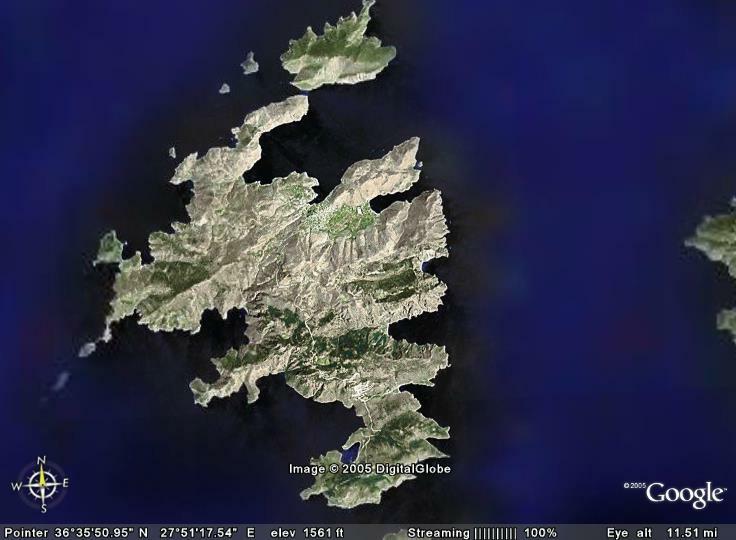 It is near the Turkish coast of Asia Minor, about fifteen miles. The capital of the island is a miracle of harmony and beauty. This village amphitheater above the sea consists of two parts: the port area, Gialós, dynamic and colorful, and the upper city, Chorió on the hill. The capital has retained its beautiful neoclassical houses traditional Italian pastel colors white, yellow, ocher ... and tiled roofs. They are classified by the Greek Ministry of Culture: this way no unsightly building will disturb this beautiful layout. The city is protected by an archaeological commission. The port of Gialos is located at the bottom of a deep bay. A clock tower (1884) stands on the north side of the harbor, where the ferries arrive. Most houses neoclassical Gialós characterized by pedimented facades date from the nineteenth century and remained uninhabited for some decades. But now they are gradually restored, including the island expatriates who wish to own their island home a second home, or transformed into holiday homes, small style hotels, tavernas and shops. Pretty black and white pebbles paving squares and streets. Tourist center of the island, the port of Gialos gathers most of the shops, restaurants and hotels. In Gialós is also one of the last shipyard on the island. You can climb to the upper town by a staircase of 500 steps (Kali Strata, which leaves the Platia tis Skala), framed by neoclassical mansions of eighteenth and nineteenth century, leading to the port of Gialos heights Chorio, after this climb, you can relax under the arbor of a touching little museum. The old town surrounding the castle and it is only recently that it has spread to the port. The old town of Chorió a maze of alleys calm and clear, lined with modest houses. With their asymmetric architecture, even older than Gialos, beautiful houses Chorió, pastel green background (bougainvillea, cypress), reminiscent of the Cyclades, but their doors and windows are often adorned with decorative elements neo-classical interiors and maintain beautiful carved woodwork. Long abandoned, some of them have been restored. Among the most interesting buildings of Chorió include pharmacy nineteenth century fortified house Chatziagapitos, churches, decorated with pebble mosaics, and especially the Kastro, built with ancient blocks. 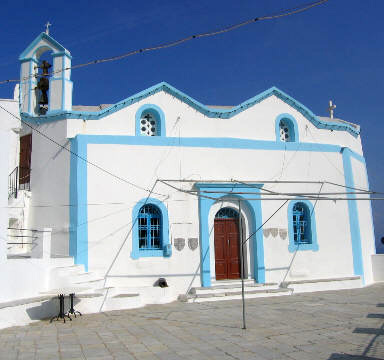 It contains the most beautiful village church, the Panagia Megala, decorated with frescoes and icons. In 1309, the Knights landed on the island and built the castle on a hill overlooking the harbor on one side and a fertile valley on the other. 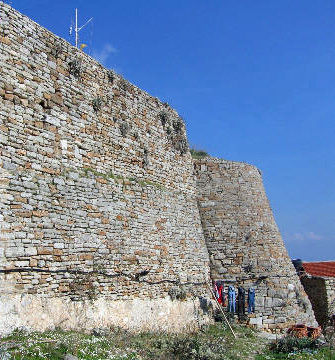 The castle was strengthened by the Grand Master Emery d’Amboise in 1507 by adding a circular bastion. It was severely damaged during World War II, and his entrance and the upper part of the castle disappeared. 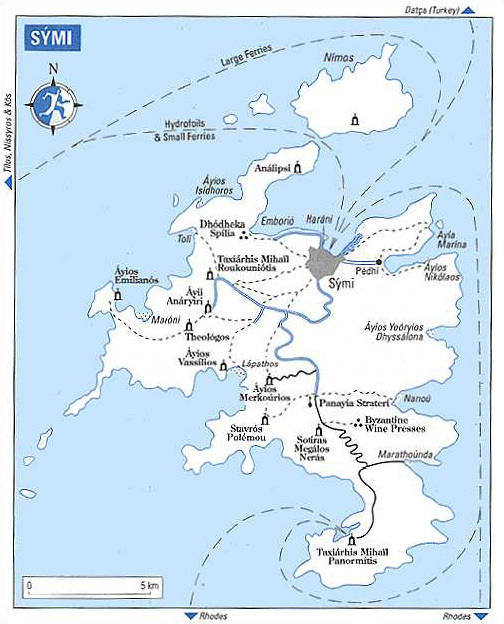 The port is invisible from the broad to the Knights kept a fleet of light for their shipments. A small arsenal built and repaired these vessels, and thus the people of Symi won-t they reputation shipwrights until the early twentieth century. The coat of arms of Grand Masters Zacosta and Milly adorning the top of the castle were dismantled during the war and in the walls of the church which is in the ruins of the castle. In a beautiful site, wearing Emborios, ancient commercial port of the island, invites to relaxation and the pleasures of bathing. 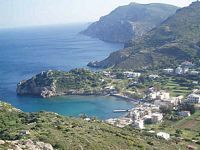 4 km west of Symi (1 h 30 AR walk through a beautiful coastal path or by boat taxi from Symi (10 h to 14 h, 16 h and 18 h). Bustling in summer, sandy beach adjacent to the harbor is nice. 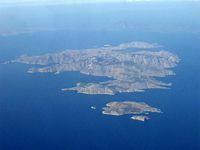 Located 2 km east of Symi town, accessible by boat from Symi. From the port of Gialos, refreshing walks into the sea, boats frequently serve the pebble beaches of Agios Georgios nestled at the foot of a cliff 300 meters Nanou bristling with cypress or Agia Marina. 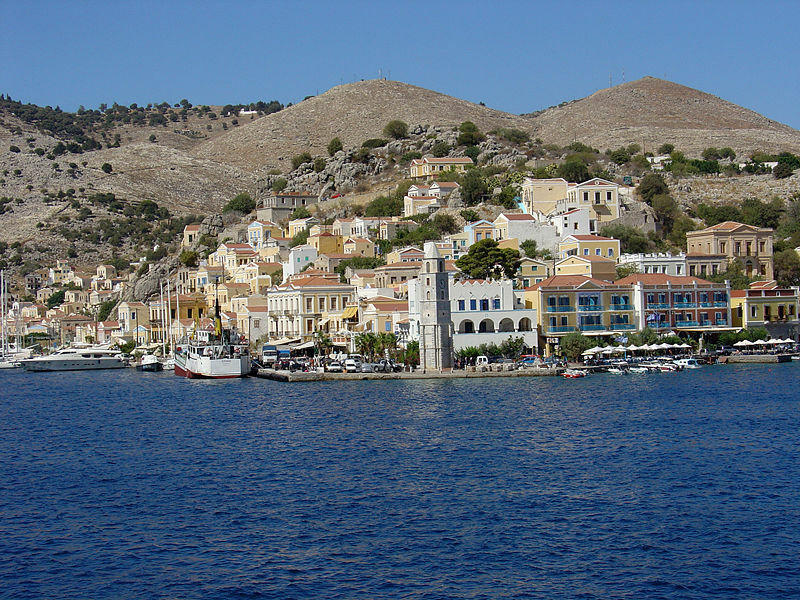 In ancient times, the island of Symi and was called Aigli Metapontis. In Homer’s Iliad, the island is the domain of Nireus king who fought in the Trojan War on the side of the Greeks. Thucydides recounts an episode of the Peloponnesian War: the Battle of Symi which took place near the island in January 411 BC, in which an unspecified number of vessels has spartan defeat a squadron of Athenian ships. 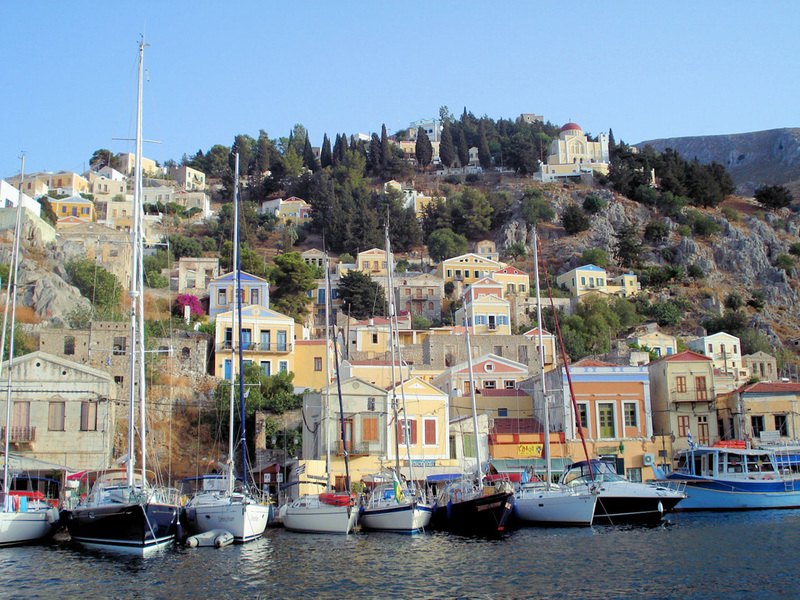 In antiquity, Symi was famous for the quality of its boats. Craftsmen built the Argo for Jason and his Argonauts. 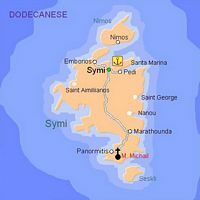 The island of Symi will then part of the Roman Empire and the Byzantine Empire. Forgotten until the fourteenth century, the island is still occupied without interruption as evidenced by the archaeological ruins and castles including, evidence of the strategic importance of the island. 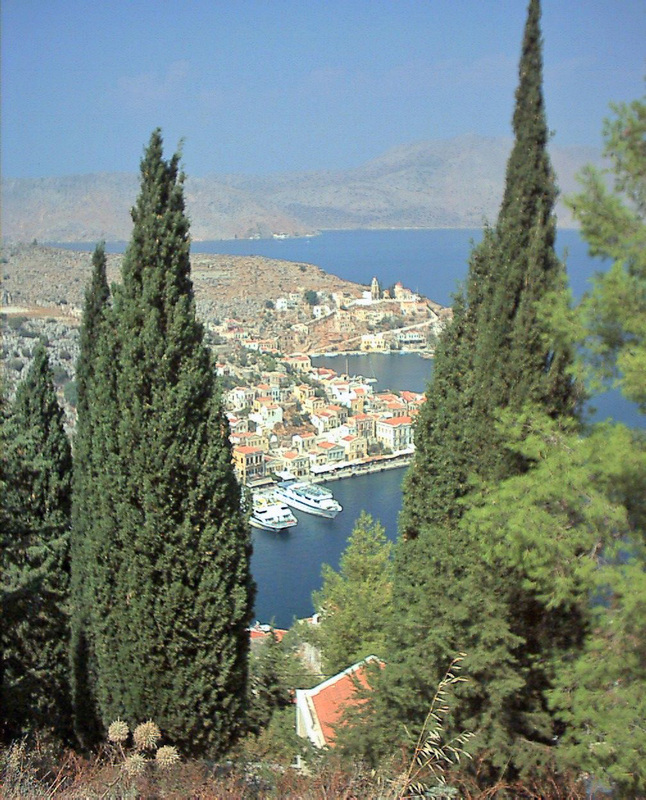 In 1373, Symi island was conquered by the Knights of the Order of St. John of Jerusalem . 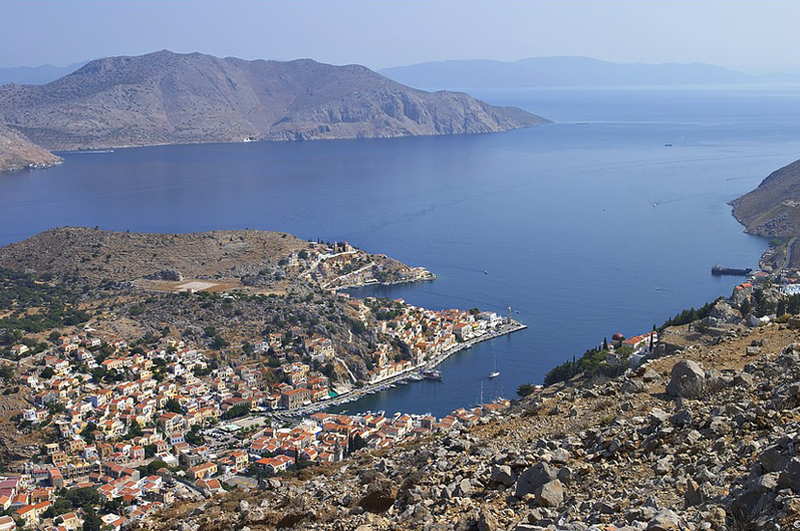 They fitted out their fleet of sailing boats made Symi because they were known for their speed. Shipbuilding and trade earned the island a certain prosperity. 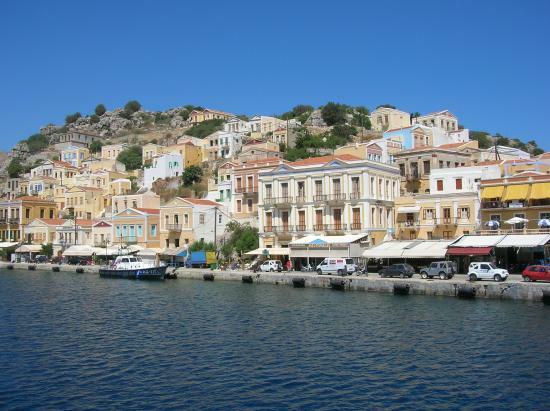 In 1522, Symi island passed into the hands of the Ottoman Empire. 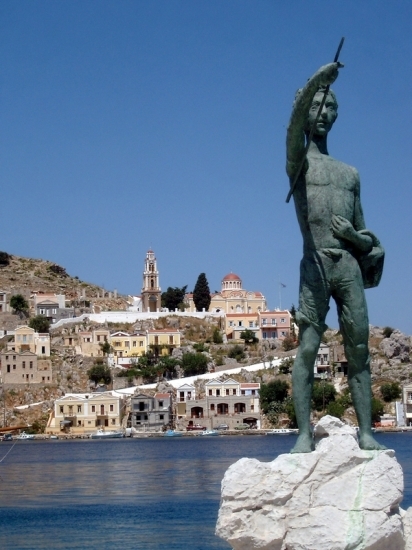 Symi avoided conquest by force by agreeing to pay tribute in the form of sponges. Under this agreement, it enjoyed various privileges: she obtained such status as a free port and the right for its sponge fishermen to work freely in Turkish waters. 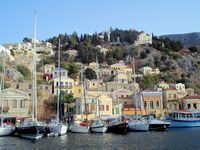 The Turks also bought regularly fast sailboats built to Symi. 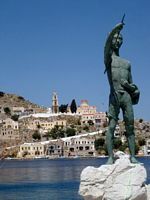 If participation in the revolution of 1821 cost him some of his privileges, Symi is less continued to prosper, as evidenced by the great neo-classical buildings that give the town its chief character. 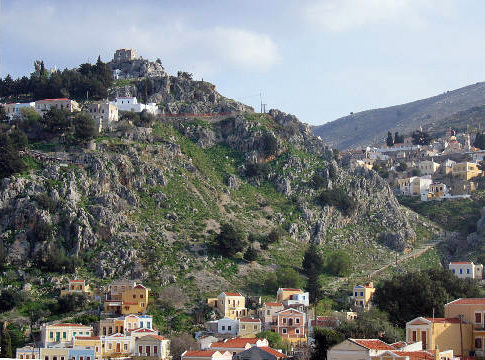 The mid-nineteenth century, it was at its peak as evidenced by the neoclassical mansions built during this period and covering the slopes of the town of Symi. 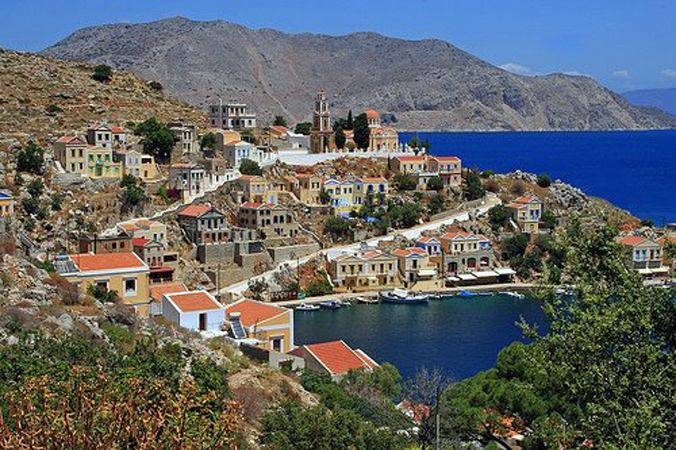 Symi was covered with sumptuous houses and many of its inhabitants bought land in Asia Minor. The decline of the island is amorça with the advent of steam navigation, which caused lower demand for wooden sailing ships. 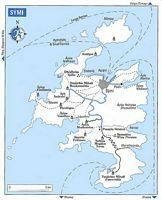 During the twentieth century, the island with the rest of the Dodecanese, change hands several times: in 1912, starting a converted Italian occupation annexation in 1923, the island closed access to their properties in Asia Minor. Enosis (union) with Greece in 1948. The island of Symi is a continental island mountain whose highest point, Mount Vigla reaches 616 m, whose interior is through small valleys and coastline which sees alternating cliffs and coves. 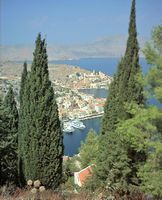 The interior of the island, a wooded plateau with spectacular views, can be visited by car or motorcycle on the road from Symi to Panormitis. Its total area is 58.1 km ² and the length of its coastline is 85 km. Its population is 2560 inhabitants (2001) and a density of 44.06 inhabitants / km ². 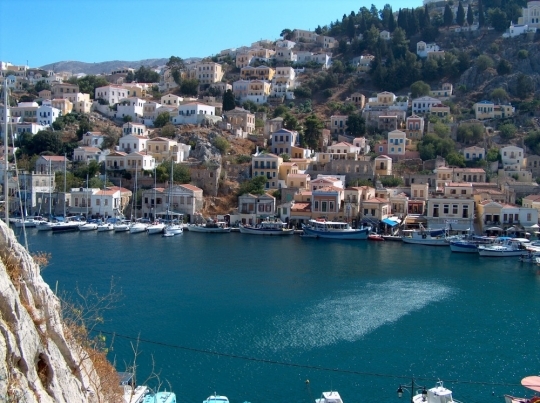 In the spring and again in September and October, the island of Symi is idyllic. July and August attract crowds and the port can become very hot and humid. 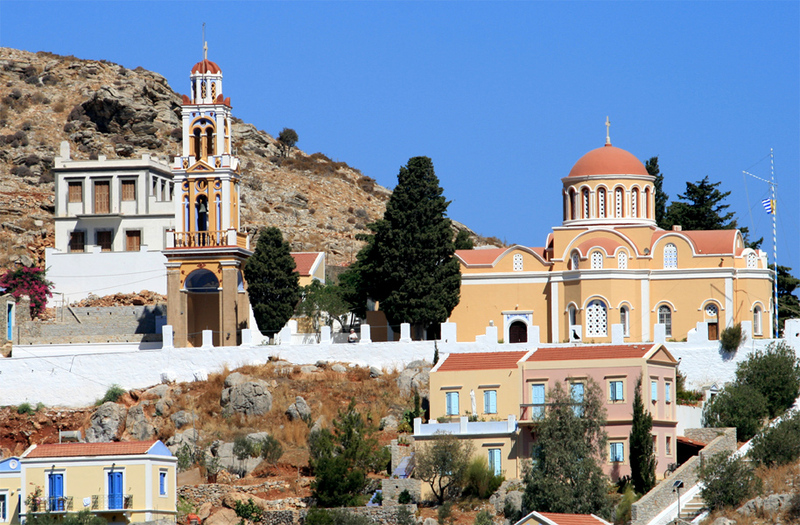 The island of Symi is very religious: there are not far from three hundred altars, chapels and churches. A rock is called "rock of St. George," the saint who, according to legend, the rock opened. St. George was persecuted as a Christian under the Roman emperors Diocletian and Maximus. 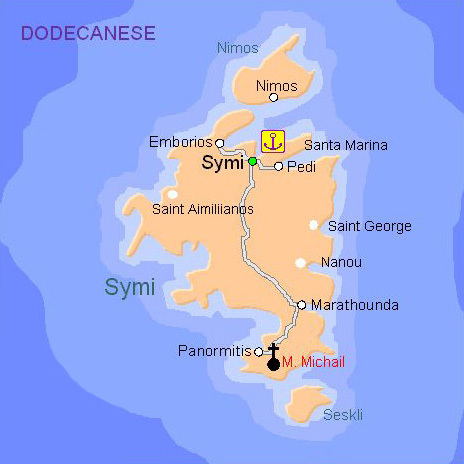 In Greek mythology, the beautiful island of Symi is the birthplace of Charites (Three Graces assimilated to the Romans, they are goddesses personifying life) and takes its name from one of the wives of Poseidon: the nymph Syme. 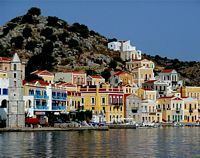 The island of Symi (Σύμη) is part of the Dodecanese in the southern Aegean Sea (Mediterranean Sea), which is one of the twelve main islands. Gialos is the main port. 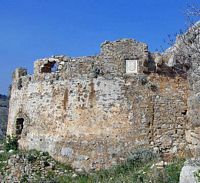 Chorio, literally "village" is the upper village. Pedi Bay is the valley below Chorio, south of Gialos. 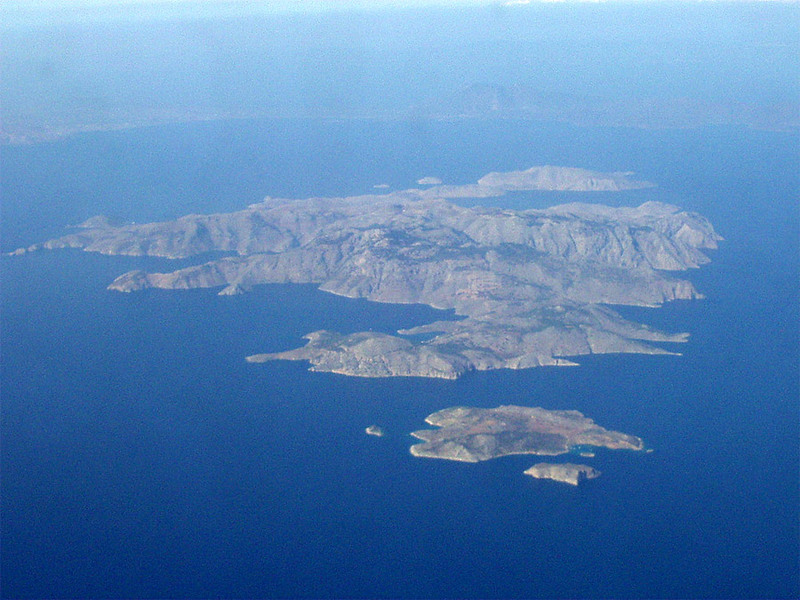 Nimborios includes the bay and hamlet north of Gialos. 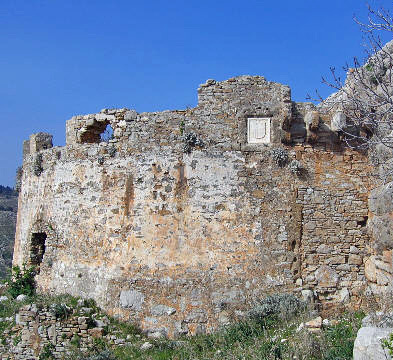 There is a hamlet and a large Marathounda monastery Panormitis . 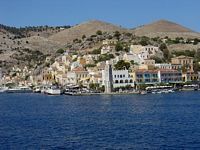 The main town, also called Symi, is located on the northeast coast and includes the majority of the 2,560 islanders who live mainly from fishing, trade and tourism, the island’s population then multiplies high season and sees have more than 25 000 inhabitants.